Suansawan Resort Chiang Mai - Mae Rim, Chiang Mai, Thailand - Great discounted rates! 7.8 out of 10 based on 826 verified user reviews via Agoda. 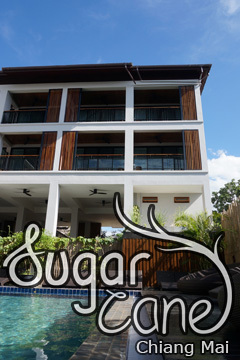 Suansawan Resort Chiang Mai is conveniently located in the popular Mae Rim area. Both business travelers and tourists can enjoy the hotel's facilities and services. Take advantage of the hotel's free Wi-Fi in all rooms, facilities for disabled guests, Wi-Fi in public areas, car park, room service. All rooms are designed and decorated to make guests feel right at home, and some rooms come with internet access ?ÛÒ wireless, internet access ?ÛÒ wireless (complimentary), whirlpool bathtub, air conditioning, mini bar. The hotel offers various recreational opportunities. Friendly staff, great facilities and close proximity to all that Chiang Mai has to offer are three great reasons you should stay at Suansawan Resort Chiang Mai. Suansawan Resort Chiang Mai - Chiang Mai classifies itself as a 4 star hotel.